Due to the dry season, Buhisan Dam is now at a “critical level” but the Metropolitan Cebu Water District (MWCD) assured consumers that there is sufficient water supply. Some taxi drivers and operators in Cebu refuse to follow the P30 flagdown rate, calling the Land Transportation Franchising and Regulatory Board (LTFRB) 7 order unreasonable. The board urged passengers to report these taxi drivers. MCWD confirmed that the Buhisan Dam is drying up and is already at a “critical” level. The dry season has just began. There will be no water shortage, MCWD assured, because it gets additional water from the Carmen Bulk Water Supply Project. 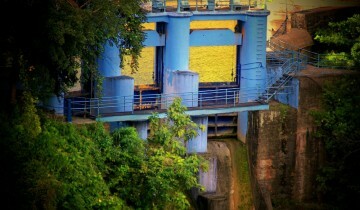 Buhisan Dam is not the main water source of MCWD. From the usual 7,000 cubic meters of water per day, Buhisan Dam now only produces 3,000 cubic meters of water per day. Still, MCWD is asking the public to conserve water, such as by recycling water to flush toilets. Cebu City Traffic Operations Management Executive Director Rafael Yap said that heavier traffic congestion is felt in Mandaue City while the traffic in Cebu City had turned “manageable” after the rerouting plan at the North Reclamation Area was implemented. Hence, there is a need for coordination between the traffic organizations of the two cities. The identified bottlenecks are found along Ouano Avenue near the Aboitiz Football Field. Some taxi operators and drivers in Metro Cebu did not follow the order of the Land Transportation Franchising and Regulatory Board (LTFRB) 7 to lower the flagdown rate from P40 to P30, saying it was unreasonable. The Metro Cebu Taxi Operators’ Association (MCTOA) under Chairman Richard Cabucos and Cebu Integrated Transport Service Cooperative (Citrasco) under Chairman Benjamin Ryan Yu said that on their behalf, the Philippine National Taxi Operators’ Association (PINTOA) has filed a motion asking LTFRB to reconsider the flagdown rate cut. MCTOA and Citrasco have passed resolutions supporting the motion for reconsideration filed by PINTOA. Sun.Star Cebu: Rama asks: What’s up with case vs. Tomas?